I like animals. I'm not obsessive about it, and there's been long periods when my life has not been conducive to caring for a pet, but over the years I've been lucky enough to share my life with some pretty spectacular four legged companions. My first pet was a dog. 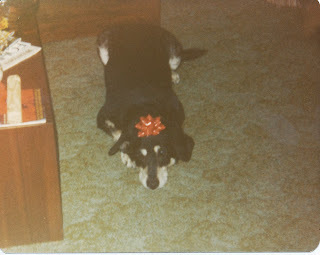 As near as we could tell, he was a German Shepherd/Lab mix, and he was without a doubt the smartest dog I've ever met. I learned how to train dogs from Schultz, and the fact that he was such a good good boy solidified my desire to never be around dogs that don't have good manners. I also learned that obsessive Frisbee chasing leads to ground down canine teeth. We also kept horses during those years. 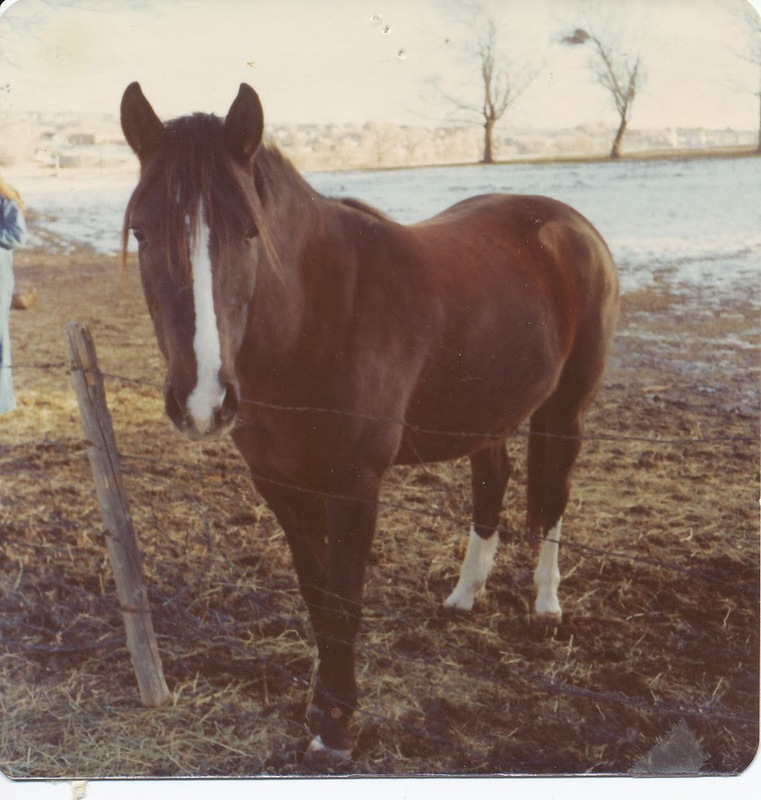 Beauty was my first horse, a half-Arabian four year old mare, who was far too much horse for someone my age. 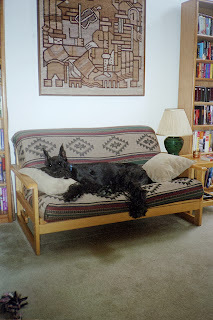 Shadow replaced Beauty, and he was a good, good boy. He wasn't anything special, or amazing - he was a just a good horse. When my family realized we had two horses and only one rider, Shadow was sold and I rode Caesar. Caesar was beautiful, strong, fast and steady - and also dumber than a stump. He always wanted to please - sometimes he just had no clue whatsoever about what you wanted him to do. However, once he learned a skill, he didn't require too much in the way of tune-ups. I loved that horse, but he eventually developed navicular disease, and had to be retired from his athletic pursuits. I was about a year away from joining the Navy when we retired Caesar, so purchasing a replacement animal didn't seem like a good idea. So a friend of the family offered to let me to use Sunglo, an Appaloosa gelding with a neck like a bull. Sunglo had a bad reputation among the youth group where I rode. His owners had a son a few years younger than me, and had tried for years to get other young men in that age group to use Sunglo. Sunglo was having none of that, however - he threw them all on a regular basis. 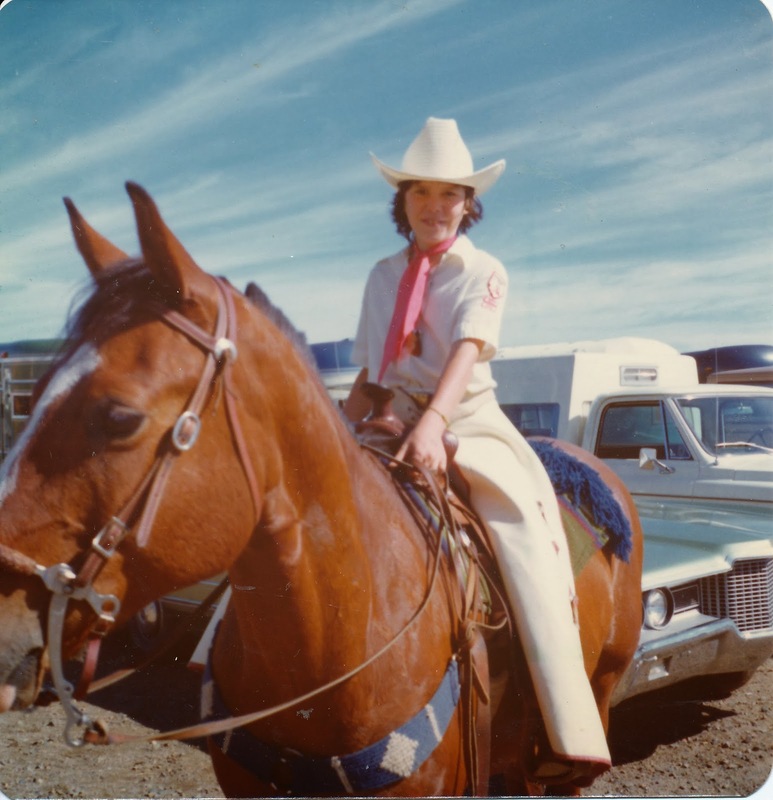 But I was desperate - I needed a horse for about a year, and a horse I could train quickly. I rode him every day before work to get him in condition and up to speed, and he was spectacular. 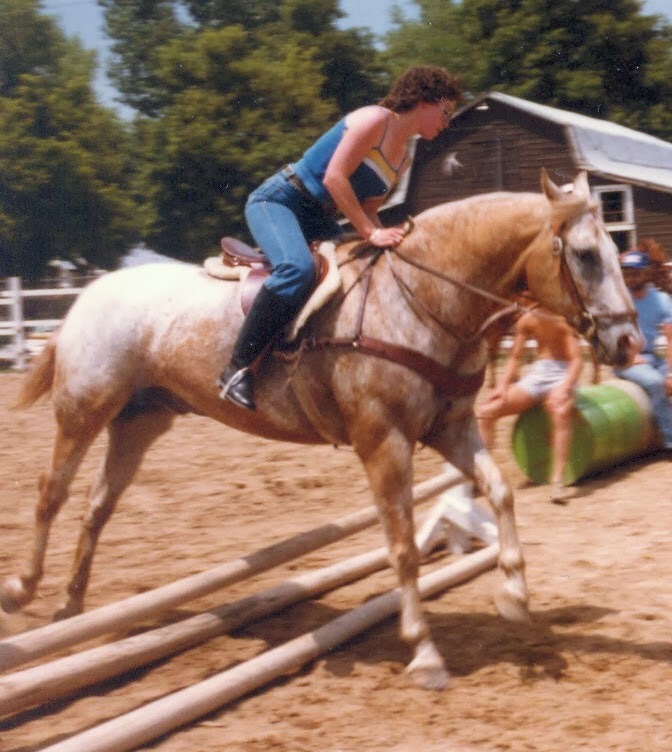 We taught him the basics of jumping in one afternoon, and my riding instructor despaired that he didn't get a hold of him until Sunglo was middle-aged. 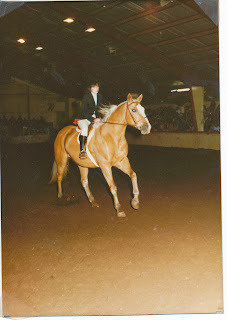 He never threw me (although he tried), and he was the most interesting horse I've ever ridden. You just had to pay attention. All the time. 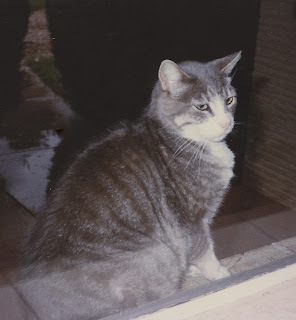 We also had a barn cat named "Quack." She was a mighty hunter, and left dead squirrels and other carcasses in the hay for me to find. For some reason she really liked me (which is odd, since I don't particularly care for cats), and when some fuckstick shot her in the hip with a BB gun, I was the only one she'd allow to treat her. As she aged she started to sleep in the garage on the horse blankets in the winter. She was pretty cool. For a cat, I mean. Once I got out of the Navy and actually had some money, I wanted another dog. And so came Boogie, the sweetest dog in the world. Next year the Smart Man and I will be getting another Giant Schnauzer puppy. We miss having a dog, and Giants suit us. His name shall be "Milo." Today I'm grateful for the furry friends who have shared my life and my love over the years, and for the ones still to come.